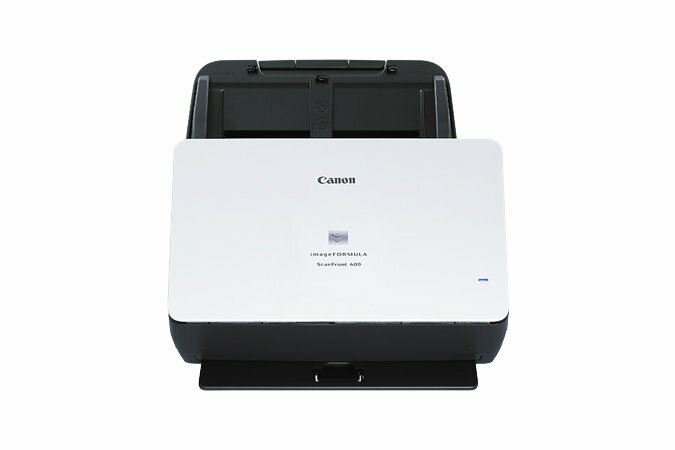 The Canon imageFORMULA ScanFront 400 networked document scanner is a full-featured, easy-to-use, easy-to-manage device for capturing and sharing documents. The ScanFront 400 scanner can simplify and help secure the distribution of business information across a network, helping to increase productivity and efficiency. The ScanFront 400 scanner is an ideal solution for capturing documents in decentralized environments. It improves collaboration by allowing users in central and field locations to capture and share information seamlessly. Manufacturing, financial services, legal services, healthcare, and other industries can benefit from easy and secure distribution of documents within their business processes. The ScanFront 400 color duplex network scanners offer fast, high-quality scanning of up to 45 letter-sized pages per minute (90 ipm). 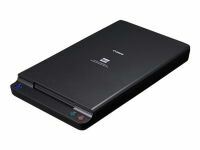 * Using the large 10.1 inch color touch-screen, you can scan directly to e-mail, FTP, shared folders, and USB sticks. You can choose from personal and shared address books and customized Job Buttons. Boasting robust security features, these scanners can be managed remotely via Web menu. 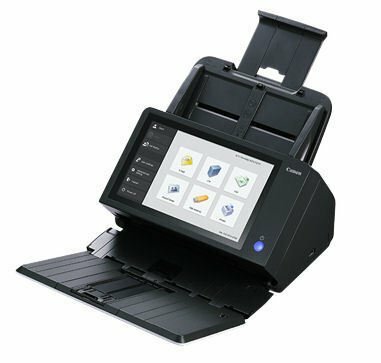 The ScanFront 400 scanners simplify scanning with sophisticated hardware and software features. The touch-screen interface lets users easily select destinations and provides a clear preview of digitized documents. Three USB ports offer the flexibility to connect peripherals, such as USB drives and keyboards, to make installation and operation easier. The ScanFront 400 scanner allows users to pre-configure commonly used tasks into Scan-To-Job buttons for one-touch access. INCLUDING the ability to Send to Multiple destinations at ONCE, as well as the simple, email me function to send to yourself. Scanning up to 45 ppm, the ScanFront 400 scanner transforms hardcopy documents into precise electronic files and distribute them to all stages of the workflow. With a few simple steps, documents can be routed directly to e-mail, a shared folder, FTP server, USB drive, printers, and fax servers. Users can even create private address books to manage recipient information or use shared LDAP options. 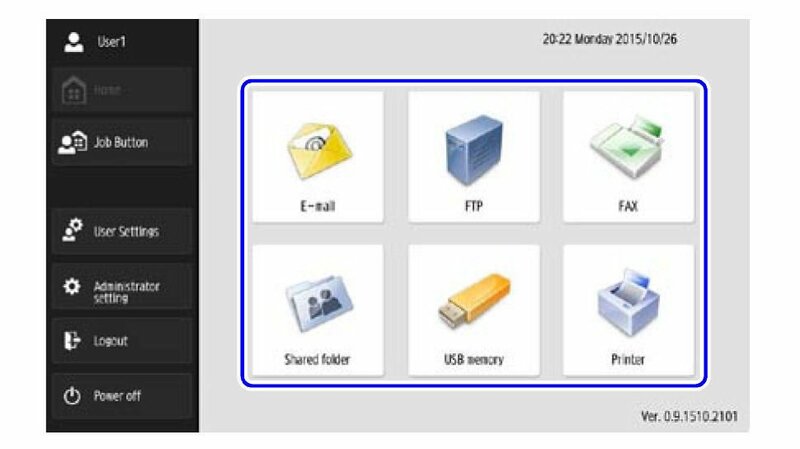 The scanners can also handle various types of documents, such as plastic ID cards, and include features like Long Document Mode. Also, the OCR Function helps convert convert paper-based documents into digital information and metadata that can easily be searched, stored, and shared, for superb business document handling. Document security: scanned documents, such as confidential files, can be sent with PDF encryption and password protection, so you can control access for viewing, editing and printing. Other security features include support for LDAP over SSL communication (LDAPS), and audit trail logging so administrators can easily monitor all scanner activity via the network. The ScanFront 400 scanner has been designed to meet ENERGY STAR qualifications for energy efficiency and comply with the RoHS and WEEE directives for reduction of hazardous substances and waste products. Dimensions (H x W x D): 9.1" x 12.0" x 11.1"
Featuring advanced CMOS contact image sensor technology and top scanning speeds of up to 45 pages per minute (90 ipm),** the high-speed ScanFront 400 devices capture high-quality color, grayscale, and black-and-white images in diverse formats such as searchable PDF. Canon’s reliable page separation mechanism with straight-path paper-feeding ensures smooth scanning of a wide variety of document types, including thick documents, mixed batches, drivers’ licenses, and embossed cards. 9.1" x 12.0" x 11.1"
This model comes with a One Year warranty.